Wave (iv) seems to be underway now. 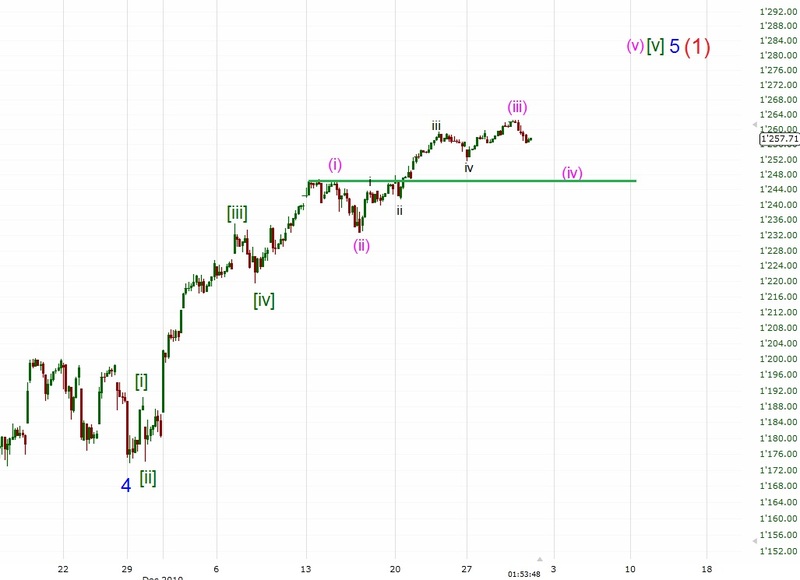 After this sideways correction there should be one last wave up to complete Intermediate wave (1) in the 1280-1300 area early January. 1246 and 1233 are key levels - once below it wave (1) should have topped.